Banana it is a one of the filling and nutritious fruit. Some people like me do not like to have Banana. That's why i try different varieties with it, such as muffins, salads etc., today we are going to see the preparation of the most delicious bread banana. Take flour, salt, baking powder and salt In a bowl and mix well. Then take eggs, banana mash, vanilla essence and melted butter in a bowl and beat well to mix all the ingredients together. Then mix with dry ingredients. You can add wall nuts or raisins if you wish. preheat the oven to 375F. 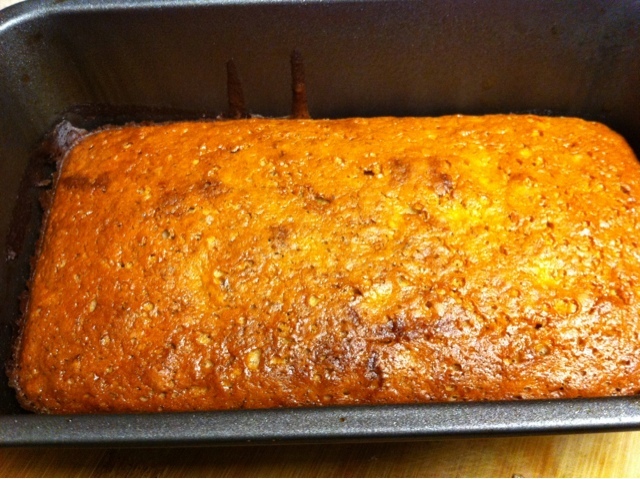 Grease the baking tray( 9"X 3") and pour in the mixture and bake for 60 min. Test with the tooth pick. When you insert a tooth pick and remove it, it should come clean. This indicates that bread is perfectly baked. Now remove the bread loaf from pan when it cools down and serve with tea/ milk /juice. Wrap with the plastic wrap and store it in a container and refrigerate it to last forked days. The bread will be moist smooth and delicious. Hope you like my recipe. perfectly baked cake....love the crust color !! Perfectly baked bread !! looks so soft and wonderful !! 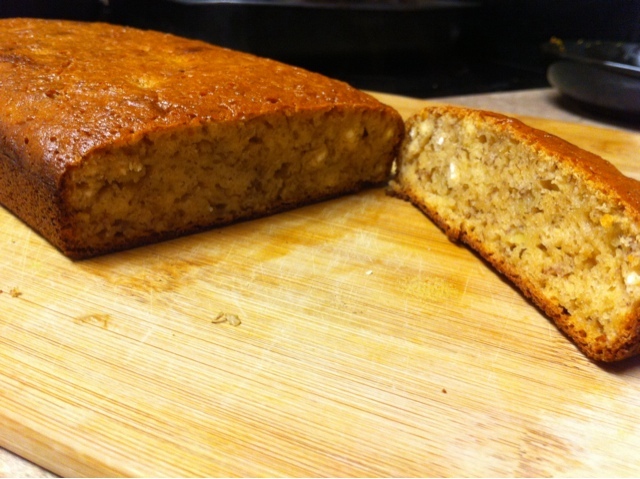 Wow,Banana Breakfast Bread luks Spongy,softy and super-delicious.Yummm,Yummm .. Yummy.Luv it. Bread has come out really well. Yummy. Wow what a lovely bread. Perfect. got to agree, I am a big fan of baking with banana as well.